What??? I Have to Pay Taxes on My Insurance Settlement? The three largest fires in the Wine Country- the Tubbs, Atlas and Nuns fires- burned more than 182,000 acres in Sonoma and Napa counties. It is estimated that no less than 8,400 buildings were destroyed or damaged and sadly at least 43 people lost their lives. 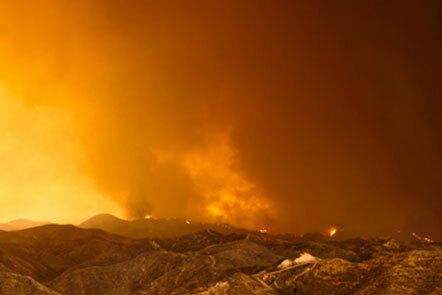 The recent fires are expected to generate thousands of personal and commercial claims for insurers. IRC Section 1001(a) provides generally that gain or loss realized from the sale or other disposition of property must be recognized. As a practical matter, gain is usually limited to appreciating assets like residential or commercial real estate and art. Most personal assets, such as cars and boats, decline in value over time. Insurance proceeds from property losses are gains to the extent the proceeds exceed the adjusted basis in the property. Taxpayers can, however, defer any gain by complying with the rules in IRC Section 1033. The involuntarily converted property cannot be reasonably or adequately replaced. Non-recognition of gain can be either mandatory or elective depending upon the circumstances. As stated above, if the taxpayer receives insurance proceeds, he has an option under Section 1033 to elect to defer the gain, if any, on the conversion. An owner elects non-recognition of gain on an involuntary conversion by not reporting the gain on the return for the first year in which gain is realized. To take advantage of the deferral, however, all of the details of the conversion, including description of the property, date and type of conversion, computation of gain, decision to replace, etc., must be reported in a statement attached to the return for each year in which gain is realized.3 The statement should also include the amount of insurance proceeds reinvested on a yearly basis. If notification of replacement or notification of no replacement is not attached to the taxpayer's return for the taxable year or years in which replacement occurs, each year in which gain is realized is open indefinitely for the assessment of a deficiency. If the taxpayer elects not to replace the converted property. Whenever a property is involuntarily converted (destroyed in the fire), it must be replaced within a specific timeline with a property of equal value in order to receive complete tax-deferral. This is called the Replacement Period. The type of property, and its use at the time of conversion, are important factors in determining how long a taxpayer has to acquire a replacement property, as well as the specific kind of property that must be acquired in order to defer any gain. At the end of any extension, authorized by the IRS.6 High market value or scarcity of replacement property is usually not sufficient reason for an extension. Who May Make the Replacement? Replacement Property must be acquired from an unrelated person (i) if the taxpayer is a C corporation, (ii) a partnership in which one or more C corporations own, directly or indirectly, more than 50% of the capital interest, or profits interest, in such partnership at the time of the loss; and (iii) any other taxpayer, if, with respect to the lost property during the taxable year, the aggregate of the amount of realized gain on the property exceeds $100,000. One building replacing two buildings used for the same purpose. Planting new crop or the purchase of standing or harvested crop replacing standing crop. Improved rental property replacing unimproved land subject to a construction contract. Replacement of the destroyed premises on leased land in one location by construction of similar facilities on leased land in another location. Improved real property replacing unimproved real property. The replacement of an interest in a Real Estate Investment Trust (REIT) for leased commercial property. The replacement of a shopping center with undeveloped land. The reduction of mortgage debt on similar property owned by the taxpayer. The rules under IRC §1033 for deferment of gain on involuntary conversions are significantly easier to complete than other types of exchanges, including 1031 exchanges. For instance, unlike 1031 exchanges, the Replacement timelines can be extended. This may be accomplished by filing an application for extension with the appropriate district director before the end of the deadline. The taxpayer's excuse for needing an extension must, however, be reasonable. Scarcity of available replacement property may not be sufficient! There also does not appear to be any requirement under IRC §1033 that the insurance proceeds be reinvested directly into the replacement property. Unlike exchanges under Section 1031, it appears that in an involuntary conversion under IRC §1033 only requires the acquisition of Replacement Property be only of equal or greater value. This should allow equity received from the original conversion to be offset with new debt on any Replacement Property. Unlike like-kind exchanges under 1031, a taxpayer can acquire a replacement property outside the United States for converted property located inside the United States. There is no prohibition contained in the statute as currently written. By deferring the gain, the taxpayer will receive the same basis in the new property that it had in the old property. Under Sec. 1033(b)(1)(A), if the taxpayer purchases qualified property for less than the sale proceeds received from the involuntary conversion, the portion of the gain that was not reinvested will be taxed in the year of conversion. Under Sec. 1033(b), the taxpayer's basis in the new property will be its basis in the old property plus the portion of the gain that was already taxed and any additional cash paid or liabilities assumed when acquiring the new property. It is important to note that, when the taxpayer eventually sells the property, the deferred gain and any subsequent additional gain will be taxed. A disaster loss is a loss that is attributable to a casualty occurring in an area that the President declares a disaster area entitled to federal assistance. FEMA maintains an updated listing of the disaster declarations by year on their website: https://www.fema.gov/disasters/grid/year. On October 10, 2017, a Major Disaster Declaration was declared for the California Wildfires (DR-4344). There are a number of special tax relief provisions available to victims of a federally declared disaster. Many provide favorable tax treatment of payments received to help people who were negatively impacted by the disaster. The time period within which replacement property must be obtained to postpone recognition of gain is extended from two years to four years after the close of the first tax year in which any gain is recognized, unless extended by IRS upon application by the taxpayer. No gain is recognized upon receipt of insurance proceeds for personal property contents which are not scheduled property for insurance purposes. (Section 1033(h)(1)(A)(i).) Unscheduled property consists of all items not itemized on the homeowner's insurance policy. This means that the proceeds do not have to be re-invested in order to postpone recognition of gain. However, the law does not change the provisions for calculating a casualty or disaster loss. The taxpayer must make a rough calculation to see if the proceeds create a gain or loss, and document the result. If a loss occurs, this special rule will not apply. Example: The insurance company reimburses the taxpayer a flat amount for spoilage of food stored in refrigerators and freezers due to the fire. The taxpayer/policyholder is not required to itemize the spoiled food or file a claim. The taxpayer recognize no gain if the reimbursement exceeds the original cost of the food. Insurance proceeds for the residence and any scheduled personal property may be lumped together and treated as conversion of a single item of property. This treatment effectively allows taxpayers to replace their home and contents with items of their choosing, not restricting them to replacing artwork with artwork or dining room furniture with similar furniture. In fact, taxpayers can use the artwork or other scheduled property proceeds to replace or rebuild their home. Example: Taxpayer's principal residence and all its contents were destroyed as the result of the fires. The destroyed household contents included jewelry and art, each of which was separately scheduled for insurance purposes. The taxpayer received total insurance proceeds of $710,000 as compensation for the destruction of the residence ($700,000) and its scheduled contents ($7,000 for the jewelry and $3,000 for the art). Thus, the common pool of funds is $710,000. Within the replacement period for involuntarily converted property, taxpayer spends $700,000 to build a new residence, $40,000 to buy home furnishings and clothing as replacements for those lost in the disaster, and $10,000 to buy a sculpture for her entryway in the new residence. The taxpayer did not replace the jewelry or the lost art. Because she spent $750,000 to buy a replacement residence and contents, which is in excess of the $710,000 common pool of funds that she received, the taxpayer will not be required to recognize any gain upon the loss of the residence and its contents. If a taxpayer's property was held for productive use in a trade or business or for investment and it is located in the disaster area and was lost as a result of the disaster, tangible property of a type held for productive use in a trade or business will be treated for purposes of IRC § 1033 (a) as property similar or related in service or use to the property lost in the fire. Temporary housing assistance to rent a different place to live or a government provided housing unit when rental properties are not available. Repair assistance for homeowners to repair damage from the disaster to their primary residence that is not covered by insurance with the goal of making the damaged home safe, sanitary and functional. Replacement assistance for homeowners to replace their primary residence destroyed in the disaster that is not covered by insurance. Other needs assistance for necessary expenses and serious needs caused by the disaster, such as medical, dental, funeral, personal property, transportation, moving and storage. Section 1033 involuntary conversions will be of great benefit to the unfortunate taxpayers impacted by the wild fires this year. Rebuilding and replacing lost property will likely take a considerable amount of time. Perhaps, even longer than the four year window allowed for principal residences and the two year window for other types of property. If you have any concern regarding making the election, the applicability of the tax, requesting a needed exemption and the time you have to replace the lost property, they are advised to speak with competent tax experts or counsel before they file their next return. Revenue Ruling 59-361, 1959-2 CB 183. Revenue Ruling 66-191, 1966-2 C.B. 300. Fuchs v. Commissioner, 80 T.C. 506 (1983). See, Fort Hamilton Manor, Inc. v. CIR (2d Cir. 1971) 445 F.2d 879. Johnson v. CIR (1965) 43 T.C. 736. Rev. Rul. 71- 41, 1971-1 CB 223 and Loco Realty Co. v. CIR, 306 F2d 207. IRC Sec. 139(g)(1) and (3).